The club house restaurant has a beutiful terrace. 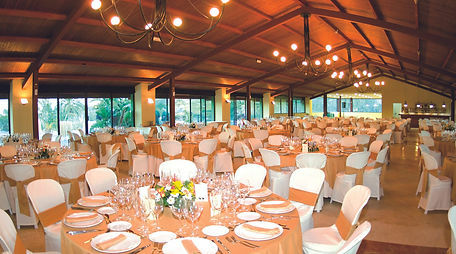 El Cortijo has all the conditions to make your event a success. A sober and elegant environment, infrastructure and equipment necessary for any family or business activity and lounges with capacity up to 600 persons.